Well let's see what the search brought up for this new brew! Don't ask me why I was searching this, or why this buddy popped up. I was expecting some MJ action...OMG... Tarsus is MJ risen from the dead... It all makes sense now, they both wore purple. Half Life 3... Never mind. So, there seems to be no Tarsus lists, and I already kind of know why. First off, this guy is hella hard to play with. I have tried him a few times and well, lets say he would be much better if you had 7 or more lanes to fill with zombie tokens. Alas, we don't, so I feel his true potential will lie as a very nice support card. 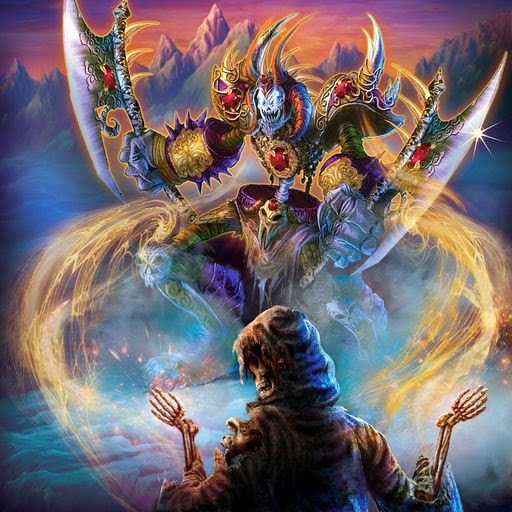 However, lets try and make a deck around him anyway, I have like 200k+ silver to incinerate :) So, as always lets see if we can start off with some good ol' Nekrium cards. This guy wants you to kill your own stuff, so a quick search of "destroy" brought some interesting options to the table. I chose this over zombies to start because I don't think you need to jam your deck full of zombies to make Tarsus good. I would much rather build around the mechanic of killing my own stuff. Also, the fact that Tarsus himself is a human makes the whole zombie strategy a bit flaky in my eyes. That, and there are actually a ton of awesome cards that want you to kill your own dudes, so lets take a dive in and see what we have to work with! First, I want to mention some cards I don't think I will be playing. Shambler, although fun and you get to make loud noises whenever you eat your own guys, seems like a build around card itself and not really what we want for support. It takes too much work to get going, and I want to kill my own stuff immediately, none of this putsing around business relying on it actually activating. Also, not a very friendly meta for going all in on a creature when you have removal running around and out the rear. Keeper of the Damned is another card semi-worth mentioning. Mostly due to the fact that I accidentally put his picture on here, but hell if I'm gonna delete it when he worked so hard to sneak his way in.Yeah... just not really playable. Good try buddy, maybe you might get me next time! Soul Harvest is another card I considered but it just doesn't do what you want it too. The card literally just kills your own guy for free, and we want more value then that. We aren't going infinite, so the extra card at level 3 isn't really for us, and exchanging a guy for a 3/3 zombie and maybe a pump or two just isn't worth the investment of a slot IMHO. 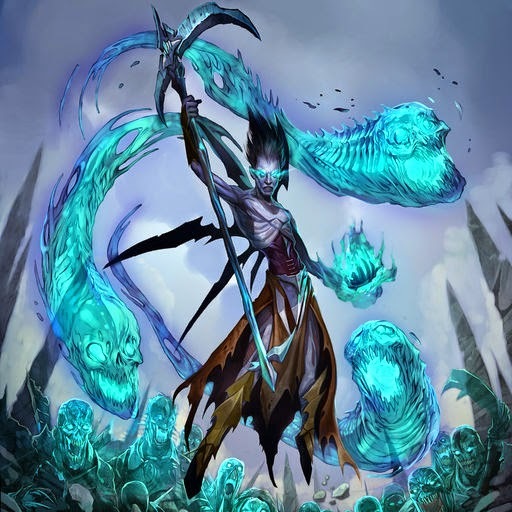 I will be eventually doing a deck tech on Kitfinity because that deck is insanely fun to play, but that is about where Soul Harvest's uses come to an end. This all being said, I will see where the deck ends up and MAY try it out in a queue. Grave Pact, level gated removal with a drawback. Need I say more? Level gated removal is already horrible as I said in my last article, you don't want it when you can use it, and you can't use it when you want it. Ew. Ew, triple ew. Just no. (again, need to see where we end up for removal but very very likely a no) . I have mixed feelings about Nefrax, he might be good but I am not sure this is where I want to go. I don't really know if our deck has enough ammo to make him be very good. I so wish this card had defender, it would actually be really good then... but it doesn't so I will pass for now, but I may revisit him. Now onto some cards worth considering! Suruzal is going to be our primary enabler. She also has some sweet combos with our underdrops (will get to these later), as well as with Tarsus himself. She really fits perfectly with Tarsus in both enabling him, and providing some powerful utility with other cards that we like. 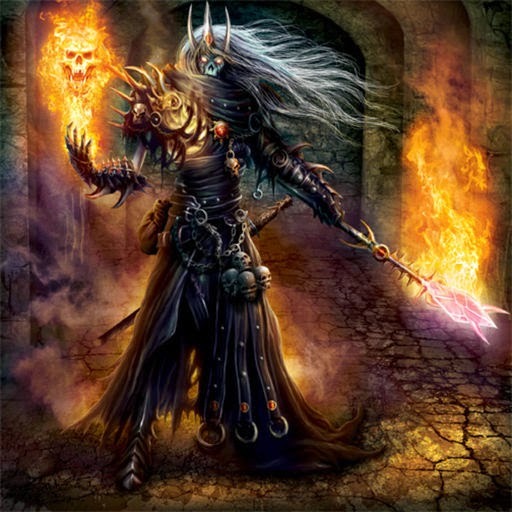 Scourgeflame Sorcerer is another card that I think has some good potential in this deck. We have some stuff we don't mind throwing away, and she is basically just a Broodqueen right? It is funny how this thing is actually just a worse Broodqueen but is legendary and BQ is heroic. 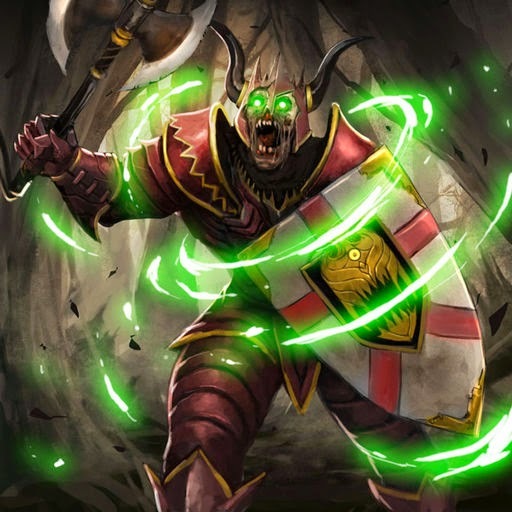 Although BQs stats are actually better, I don't think we are going to pair with Uterra since we don't really need anything from them, so unless we are with Uterra this guy is better due to it being a zombie. Yes, it is a zombie, and that is the only reason we are playing it over BQ even if we weren't with Uterra. 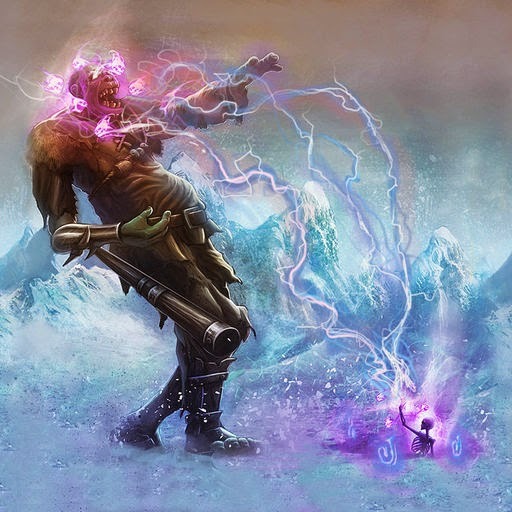 Zimus is just kind of a raw power card, it may not make the final list but its a pseudo zombie and it is very powerful. Also, it combos with Suruzal really well to double up on Zimus buddies. Grimgaunt Devourer and Tarsus are going to be our main finishers. This guy gets very out of control very fast, and our deck direction is going to naturally support and enable him so I feel he will be a very solid fit. Big finisher and should make lots of things happen. This guy will be in the deck till I retire it almost guaranteed. Now, I want the core of the deck to be Tarus, Grimgaunt Devourer, and Suruzal. These three cards work wonders together, so my next step is to find the best possible supporting cards. I play a ton of U/N so I want to try and stay away from Uterra for now, and Alloyin just doesn't make a lot of sense with this kind of strategy. Tempys certainly has a very good sacrificial and the world must burn feel to it, and that is where we are going to explore. I will note Uterra could be a good fit, but it kind of doesn't really fit well with Tarsus, we want our board to be as empty as possible when we drop him down, and Uterra are more about filling the board up. With Tempys as our second faction, and a core in mind, we need to now look at our four points of interest - Consistency, crisis control, synergy, and raw card strength. Consistency is my biggest concern for this deck, as we don't have any good consistent cards. I am not entirely upset about playing Tomb Pillager, but compared to Uterra and Tempys we got a little shorted on that guy. He is a zombie though, and he is basically our main (and only) source of consistency so it is where I feel I need to go. It also fits in with Suruzal a bit, as you can banish two under leveled cards for a decent bit of value. Next I want to look at crisis control, this is where our Suruzals will really shine. First though, Spitemage is going to be insane in this deck. 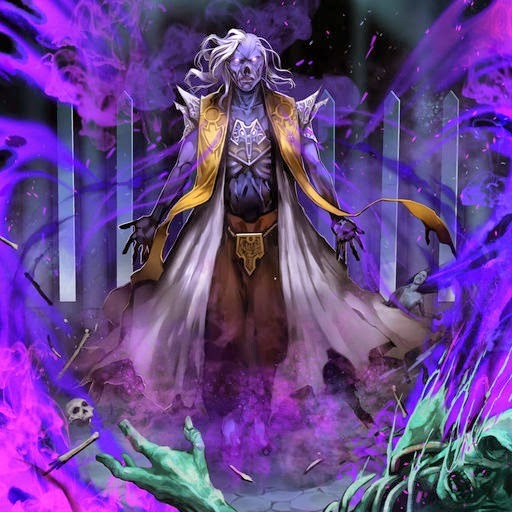 He is a great form of removal, as well as amazing fodder for both Tarsus and Grimgaunt Devourer. Next, as I have said before, you don't typically care much about killing creatures at level 1 other then the odd Thundersaur or robot that got all-ind. This plays great for us, because it allows us to utilize the underdrop creatures in our factions that are Ebonbound Warlord and Cinderbound Barbarian. 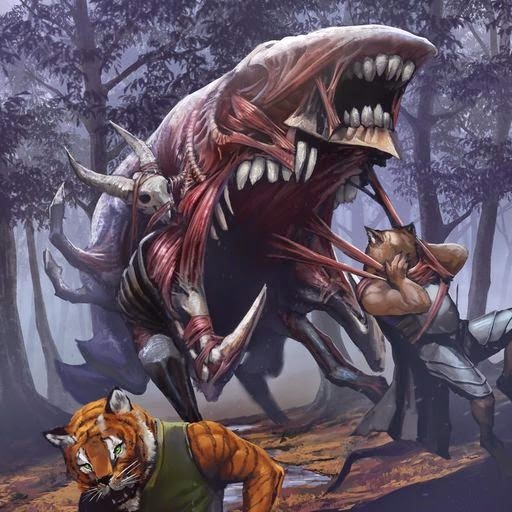 They work great with Suruzal and Barbarian will often throw itself under a creature to make a Devourer or a Tarsus get even better. Next I also wanted to add Direhounds because they increase the consistency, and are again amazing with Suruzal. Lastly, we are also going to try out Sorcerer as a zombie and form of control, so we actually have a really nice removal suite in this deck and lots of it. 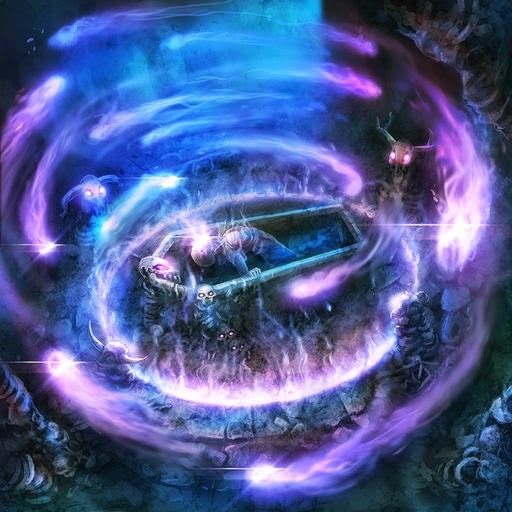 Next is the synergy, well, we already have that kind of down because we have the Suruzals and Sorcerers to enable our Grimgaunts and Tarsus, as well as a pretty large amount of removal. Grimgaunt Predator might also make a good addition to the deck, but for now we will stick with the two cards as our big finishers. Our deck does have a pretty big reliance on Suruzals to get a lot of things going, which is a bit scary, but the cards I feel so far should work decently well together without relying to much on one or two cards. Lastly, we want raw card strength. This is open to be a lot of different things, and I wanted to start out with Zimus as well as our two core creatures. I could play Frostmane Dragon, and that might happen eventually (winning decks play winning cards it turns out) but for now I want to explore options that might be really good instead of just throwing in tier 1 cards I know are good, mostly just to get a feel for where I want to go with the deck. So, with all that being said, we now have our preliminary deck! I went a step further for you guys since there is barely any YouTube content out there of Solforge, I decided that instead of talking about each round in depth I would record it and post it on YouTube so you guys can see it for yourself! So, if you don't want to watch the ~ 2 hours worth of videos right now, ill sum it up and say that we went 2-2. I feel like I could have done a bit better, and possibly got unlucky in round 2, but I also made a ton of misplays, mostly sequencing my cards improperly. The Sorcerers didn't do a heck of a lot, but I think it is mostly just because I didn't play them as aggressively as I should have. They could be on the chopping block but I want to keep them for now. The deck has really good removal and that was nice, and also did some really powerful things. The Zimus was kind of garbage, didn't do very much and even its level 2 and 3 were underwhelming I think. The games are so quick nowadays you don't really get to that super late game where you fill the board with Zimuses. The last thing was that I got super flooded with the underlevelled dudes, I want to cut a few of them but they were really good otherwise. Their power with Suruzal was really amazing! Spitemage did a ton of work, and I really liked him as well. There were a few games where I feel like if I had some mobility I would have rocked my opponents face, so I am going to try out 2 Windweavers and see how they fit. They are a great utility card either way, even as an underdrop. Also, we have 0 spells so I am going to try out Nethershriek, even though I am not 100% convinced it is that good in our deck. I just think epidemic is not powerful enough in this time and age though, so we will see how it goes. Fair warning, this set of videos was very low quality, and this version of the deck was easily the worst. Unless you love my sweet soothing whispering voice, I might recommend skipping this set of videos. We ended up going 1-3, losing again a lot due to Broodqueen. The Nethershrieks were super unreliable. We don't have any good ways of filling the board up so they guaranteed a hit, and them missing made us lose horribly in game one, and in the other games they were basically unplayable as well. I am LOVING the under drops plus Suruzal, it is amazing. The Necrolords and Grimgaunts were total power houses, and in the right shell I am pretty confident they can win me games! I have decided that it might be time to move away from Sorcerer and try something else, the card is just not not not good in our deck, and for right now I think it is going to be Shambler. 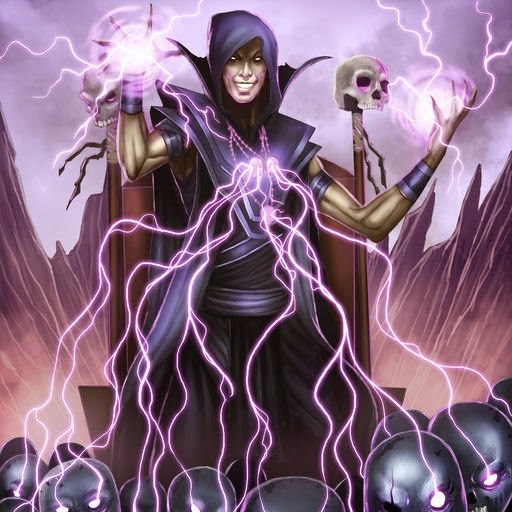 The next change I want to make is take out the Nethershrieks for Xrath's Wills. We need help vs those pesky Broodqueens, and it might be the best choice. Getting a random free zombie here and there will also be nice. 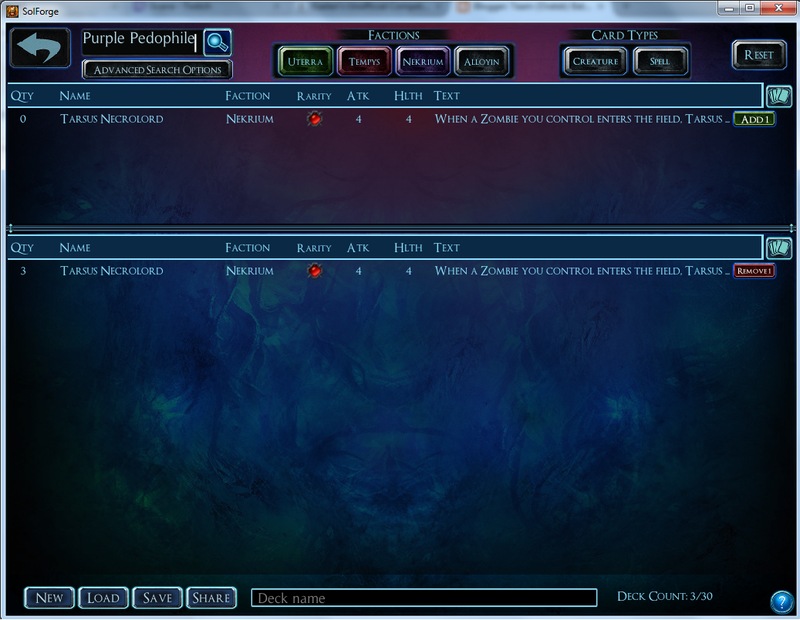 With the Wills I also decided to move to a 3/1 split in favor of Warlords due to the synergy with the Wills. The first video for this series didn't get recorded somehow so I decided not to upload it. I did decently and went 2-2. It was a bit unfortunate but I may post these rounds later. More important though is what I learned! So with some more testing I have decided the Suruzal is just not cutting it. I think it is mostly that the card itself is very weak as a 4/3 then 8/7, and it kind of goes along with the Soul Harvest line of logic that getting an extra enter the battlefield effect and triggering a guy or two just isn't worth it. I also decided that Direhounds are not really where I want to be, we have stuff we desperately need to level and giving up a level is pretty costly. I still want some cards that lower opposing creatures attack, so I decided to go with Scythes, even though I can see an argument for Group Meal. Lastly, I wanted to try a few more zombies, and I think zombies that respawn themselves are the best of the bunch. This is either back to Zimus, or Fell Strider. I am going to try Fell Strider out since it will get the free levels with Will, and will be more consistent even though its very clear that Zimus is over-all more powerful. The last change was cutting the Barbarian for the third Windweaver. It was between Barbarian and Scythe, but the Scythes are great with Windweaver and for getting out of potentially very bad situations. I am going to run one more que for you guys to see the deck in action, and I feel this is about where I want to be with this list. As for its competitive level, I would give this version a 6.5/10 (about the same as I would give Wegu). As you can see in the last set, we beat some good decks, but it involved a few timely Spitemages and our opponents missing on some crucial turns. Also, since I added the Xrath's Wills I have not faced a BQ opponent, so I am very curious to see how that match plays out now. I think it is a lot better with this new build. As far as my competitive rating goes for comparison, I would rate a tier 2 deck as 5/10. BQ/Tracker is probably an 8.5/10, with no decks currently being clear cut 10/10 play this and nothing else. Okay, wow. After this last tournament I am now seeing the power of the deck in full form. I have to say I managed to 4-0 again with relative ease. Everything in the deck just flows so well together, and I am bumping my original rating up to a 7.5/10. It could very easily be attributed to surprise factor and opponents not knowing how to play versus the deck properly, but wow the power is certainly there. I stick with what I said about Tarsus being more likely to be in the top 8 of a WCQ over Ator. If you didn't watch any of the videos, watch round 3 of these ones versus Turkis to see how the deck was able to purely out muscle his Redbots deck. Round 4 we just completely go off for a quick level 2 concession to a 20/20 and 14/14 Tarsus. 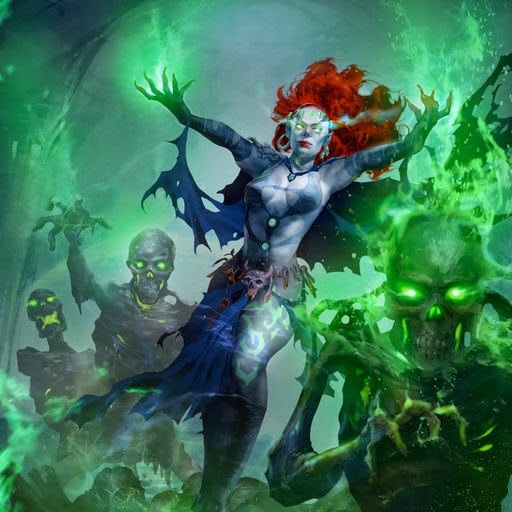 The deck has great consistency between under drops, Wills for free leveling, and Tomb Pillager to thin the deck. It has great power, and it has lots of synergy. The Shamblers and Fel Striders force things to die on your own turn and really get em good with the Taruses (Tarsui? Tarsuses?) which is really highlighted in game 4. Game 1 versus BQ shows off the crazy good removal suite, and yeah, just way more impressed with this deck then I thought I ever would be. Hope you guys enjoyed the videos and the journey, and remember if you can't get enough of me check out the Youtube links or follow me at www.twitch.tv/jimbozgrpz . My next article will probably be taking a step towards something more competitive, but really just whatever I feel like. Not sure if it will be another Wannabe Brew series because they are incredibly fun to make, or something else. Either way, I will catch you all later! More YouTube content is appreciated! There is so little out there. Looks like a fun deck. I like Pillager a lot but usually draw him 2.1 for some annoying reason. Thought about Hermit in NU deck thinning type deck to use the Pillagers later but seemed like a waste of PL1 to just level them. Anyway keep up the good work you guys. We need more in depth things like this! Designed by Battlebrand Team. Simple theme. Powered by Blogger.